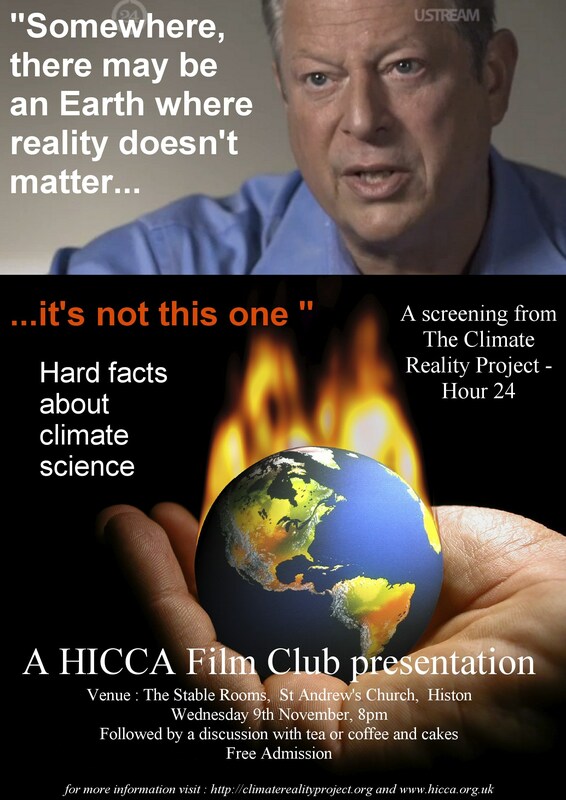 Next screening will be from the Climate Reality Project, founded and chaired by Al Gore. We will be showing the summing-up presentation made by Al in New York, the highlight of environmental assessments from all the 24 time zones across the Globe, and a snapshot of the climate problems we currently face. 8pm, Wednesday 9th November at the Stable Rooms, St Andrew’s Church, Histon. See you there !